Okutama is famous for its vasts amounts of nature – plenty of mountains and rivers. 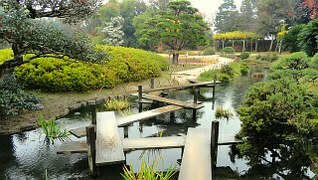 Most people incorrectly believe a metropolis like Tokyo has very little nature but Okutama is very much a part of Tokyo. Okutama is a vast region centered in western Tokyo, but it spans into south-western Saitama, eastern Yamanashi and north-western Kanagawa. It is a mountainous area where you can enjoy climbing and hiking. At the heart of mountainous Okutama is Okutama Town. There are a lot of tourists who come here to hike. In 1950 Okutama was included into Chichibu-Tama National Park. The national park boasts beautiful mountains and valleys in every season. 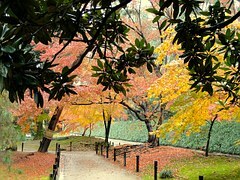 You may go there in autumn red leaves season and spring cherry blossom season. You will like Okutama since its tremendous nature. You can enjoy BBQ in Okutama camping places. It is used for Soba, Udon, Japanese foods etc, tastes good. Bus from Okutama station bound to Okutama-ko, Kamozawa nishi, Tanba, Minetani, Tomeura. It takes about 20min at Okutamako bus stop, the nearest stop. Bus stop is Honjuku, 0min on foot. Coffee specialized shop, you can taste a genuine cup of coffee.